The Translator Group guarantees first class quality translation in over 100 languages - across all sectors and fields. In addition, we are also specialists in certified translations. Numerous individuals, public authorities, schools and government organizations worldwide already rely on our expertise. Certification processes and the definition of a certified translation are different from country to country. 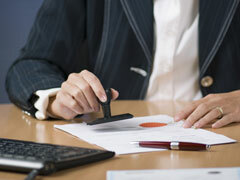 In general, a certified translation is one that was carried out by an officially sworn translator. As a rule, the translation is accompanied by a signed statement that the translator has the necessary skills in the source and target language and that the certified translation is an accurate translation of the source document. This can also be designated by a stamp placed directly on the translation. In 100 languages for over 100 countries! Our certified translations are performed worldwide by sworn translators who are licensed to legally validate the translation of documents. Please note: a certification, issued by a sworn translator in one country, may in certain circumstances, not be valid in another country. According to the EU Services Directive however, translations conducted by a sworn translator in one EU country must be recognized in all other EU countries. When you place an order for a certified translation, please indicate the country where the translation is being used. This will ensure that a translator sworn for that particular country is used. You will receive the sworn translation from us as a scanned file - however should you need the originals, we ask that you notify us of this (not automatically provided). You can rely on: getting your desired translation of first-rate quality and in the shortest possible time. As a certified Translation Agency. We guarantee our customers the highest verifiable standards. Only sworn translators acknowledged by the Dutch Court are entitled to perform certified translation of official documents such as birth/marriage certificates, diplomas, etc. In Belgium, a distinction is made between sworn and legalised translation. Sworn translations bear the signature and/or stamp of the translator while a legalised translation also requires a stamp from the court where the translator has been sworn. Certified translation performed by a lawyer or by the Greek Foreign Ministry’s Department of Translation. Occasionally, certified translation can be carried out by an individual certified translator, although such translators are difficult to locate. Members of this association have passed a demanding translation written and oral examination in translation, in the languages concerned. This certification represents the highest possible Norwegian qualification for translations of specialised, industry-specific texts into and from Norwegian. Translators possessing this certification are authorised by the Norwegian government to place their stamp and signature on documents, along with the words “True Translation Certified”, thus constituting a certified translation. Certified translations are only immediately valid as legal documents if performed by state-authorised translators. The Danish Ministry of Foreign Affairs can ‘legalise’ a certified translation for further proof of legal validity. This occurs by authenticating the signature of the translator. If a document is intended for use in non-signatory country then that particular country’s diplomatic representation in Denmark are required to legalise the document. In Venezuela, a sworn or certified translator (Interprete Publico) is authorised following the awarding of a degree by the Ministry of Internal Affairs and Justice. Any document from a foreign language will only have recognised legal value in Venezuela if translated by such a certified translator. In compliance with Law #20,305, all public documents (including personal papers and some commercial contracts) have to be translated and signed by a "certified public translator," whose seal and signature have to be legalized on each document by the translators' professional body of jurisdiction. In Indonesia, a sworn translator is often referred to as an authorised or certified translator - they are people who have attended and passed translator qualification examinations in the legal field as organised by the School of Linguistics and Cultural Sciences at the University of Indonesia (FIBUI). After passing, they will then take an oath before the Governor of DKI Jakarta. Both Italian courts and consulates have the power to appoint as "official translators" candidates who pass an examination or present proof of their language proficiency (usually a university degree). The standards of translation in Poland are regulated by the relevant department of the Ministry of Justice and every translator wishing to provide such services must pass a formal examination. In South Africa, a translator must be authorised by the High Court, and must use an original (or a sworn copy of an original) in his/her physical presence as the source text. Translators may only swear by their own translations. There is no requirement for an additional witness (such as a notary) to confirm the authenticity of the certified translation. The "Kammarkollegiet" is an official agency that authorises interpreters and translators, who must first pass a stringent examination set by the organisation. Authorised translators hold a protected professional title, and their certified translations are considered legal and binding for all legal purposes. In the UK, The Institute of Translation and Interpreting ITI is the body giving a translator the right to certify translations.ITI makes sure the translators have suitable language skills and technical expertise. The Institute can hold its members to account in the event of complaints.Translations sometimes have to be "sworn" for various purposes, such as when providing official translations for public authorities. In the UK, swearing has no bearing on the quality of a translation. It serves instead to identify the translator and his qualifications, so that he is accountable.